Think tank: A think tank, think factory or policy institute is a research institute/center and organization which performs research and advocacy concerning topics such as social policy, political strategy, economics, military, technology, and culture. Most policy institutes are non-profit organisations, which some countries such as the United States and Canada provide with tax exempt status. 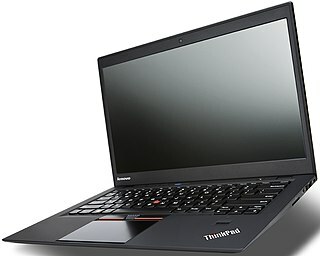 ThinkPad: ThinkPad is a line of business-oriented laptop computers and tablets designed, developed, and sold by Lenovo, and formerly IBM. ThinkPads are known for their minimalist, black, and boxy design which was initially modeled in 1990 by industrial designer Richard Sapper, based on the concept of a traditional Japanese Bento lunchbox revealing its nature only after being opened. According to later interviews with Sapper, he also characterized the simple ThinkPad form to be as elementary as a simple, black cigar box, and with similar proportions that offers a 'surprise' when opened. Thinking, Fast and Slow: Thinking, Fast and Slow is a best-selling book published in 2011 by Nobel Memorial Prize in Economic Sciences laureate Daniel Kahneman. It was the 2012 winner of the National Academies Communication Award for best creative work that helps the public understanding of topics in behavioral science, engineering and medicine.The book summarizes research that Kahneman conducted over decades, often in collaboration with Amos Tversky. Think of the children: "Think of the children" is a cliché that evolved into a rhetorical tactic. Literally it refers to children's rights (as in discussions of child labor). Thinking Out Loud: "Thinking Out Loud" is a song by English singer-songwriter Ed Sheeran, recorded for his second studio album, × . It was written by Sheeran and Amy Wadge, and produced by frequent collaborator Jake Gosling.